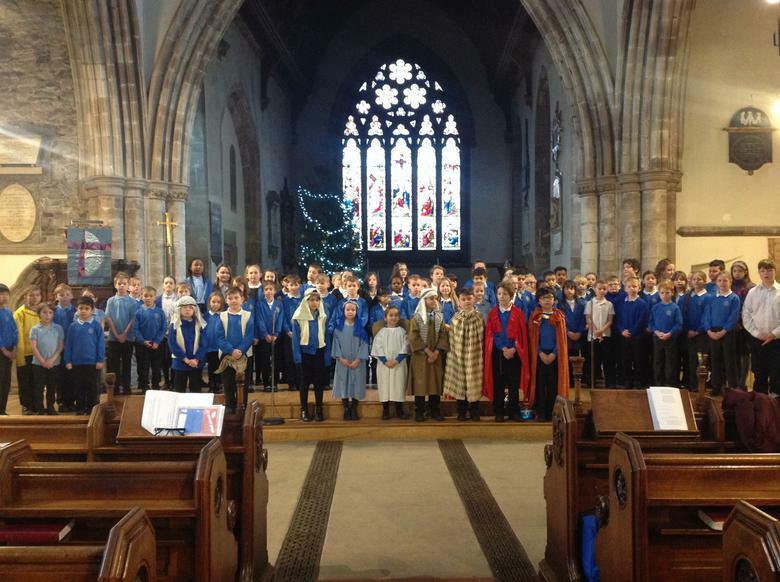 where they told the story of the birth of Jesus as well as singing traditional carols, which the congregation were able to join in with. 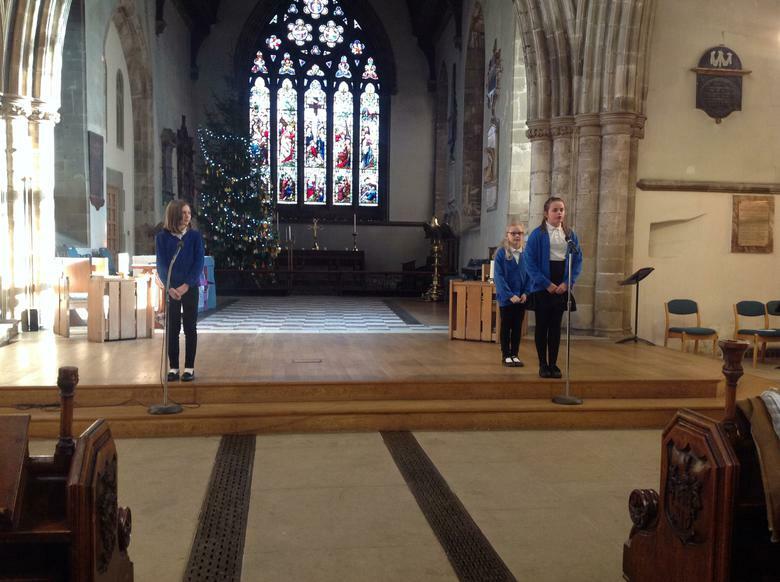 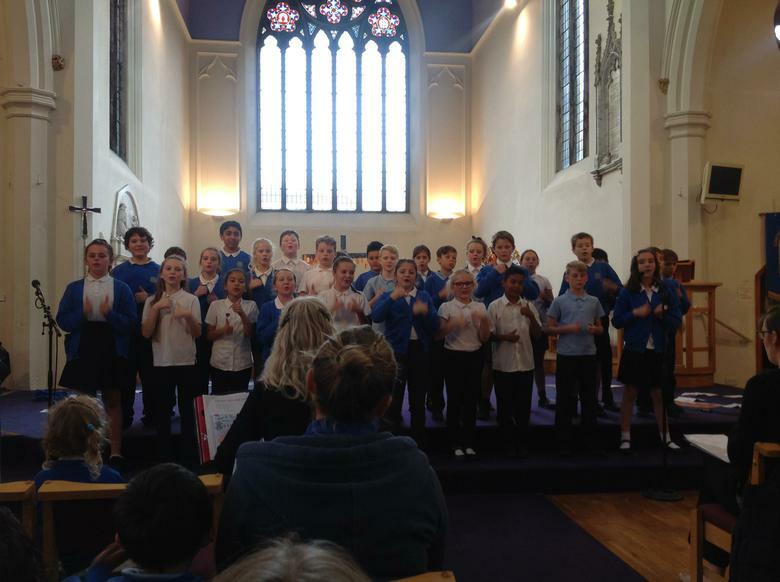 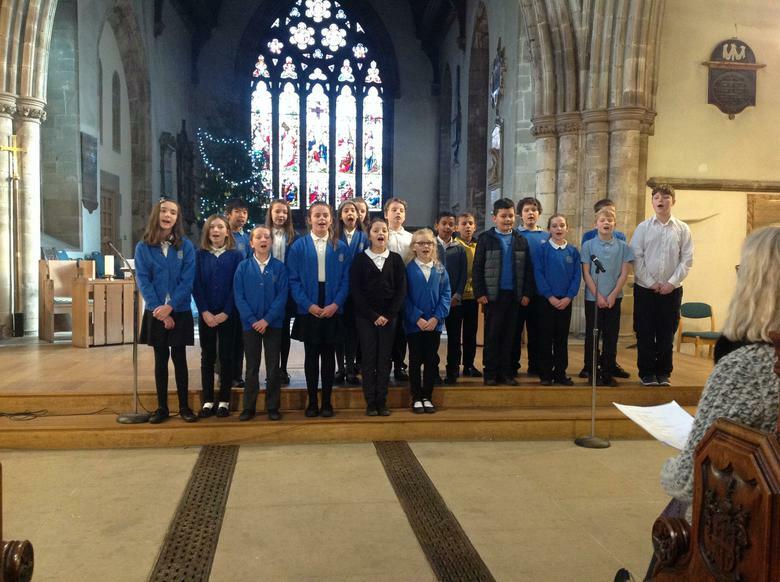 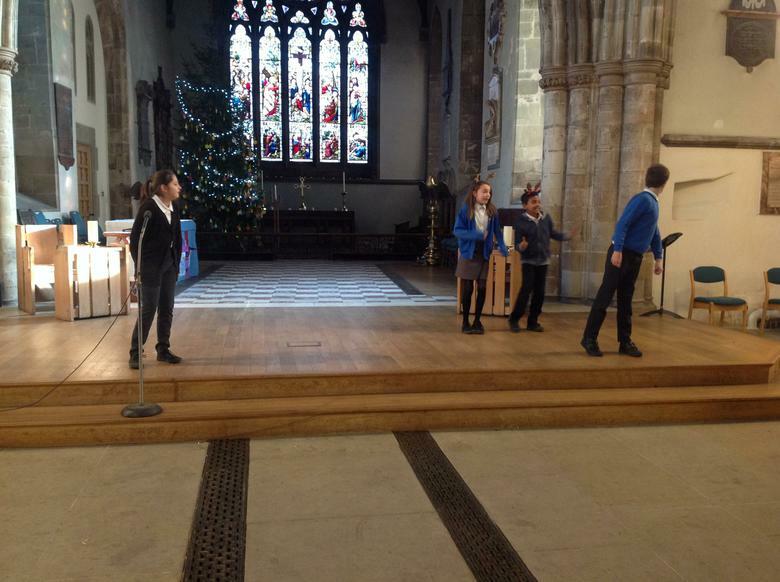 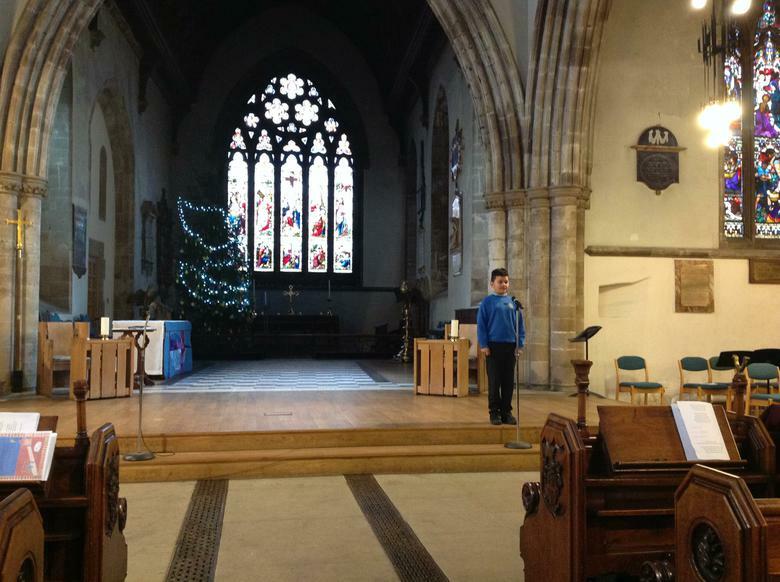 The service also included performances by the choir and the year 6 handbells. 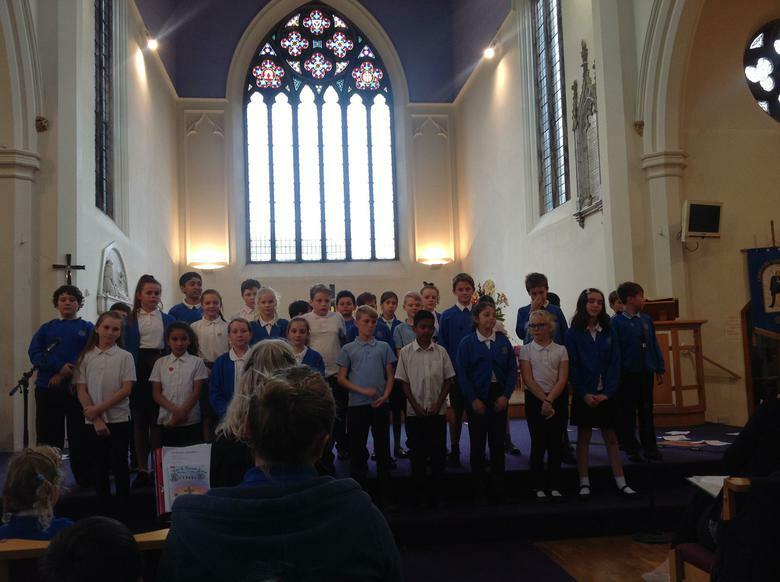 The retiring collection was split between Christian Aid and The Bridge charities. 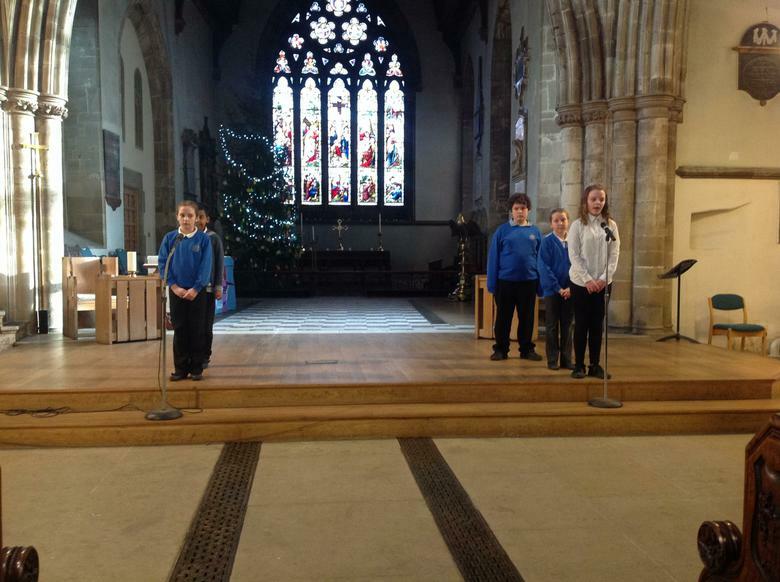 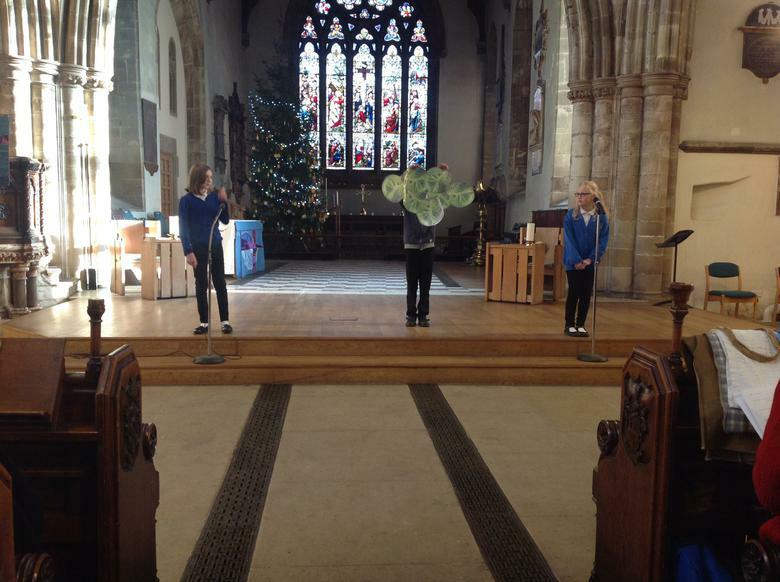 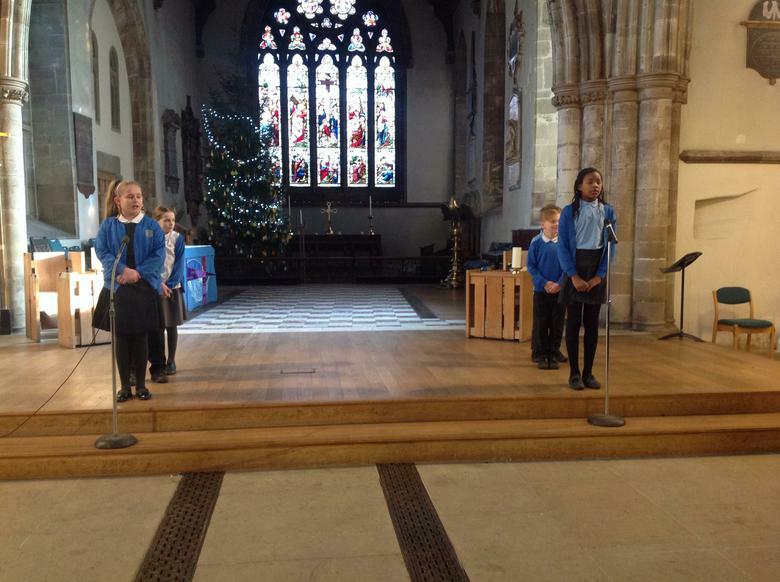 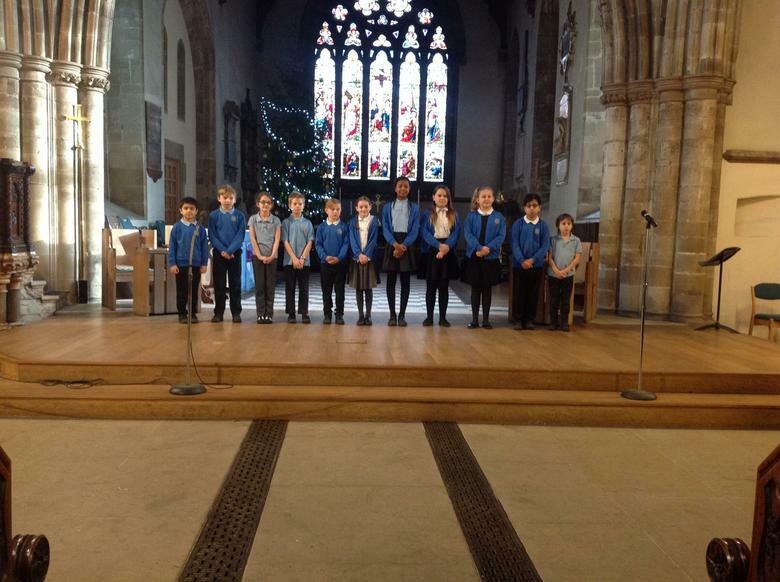 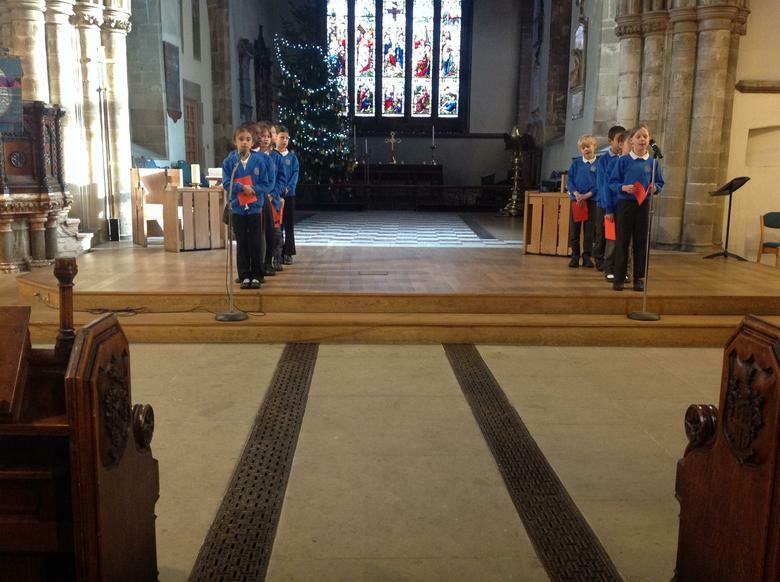 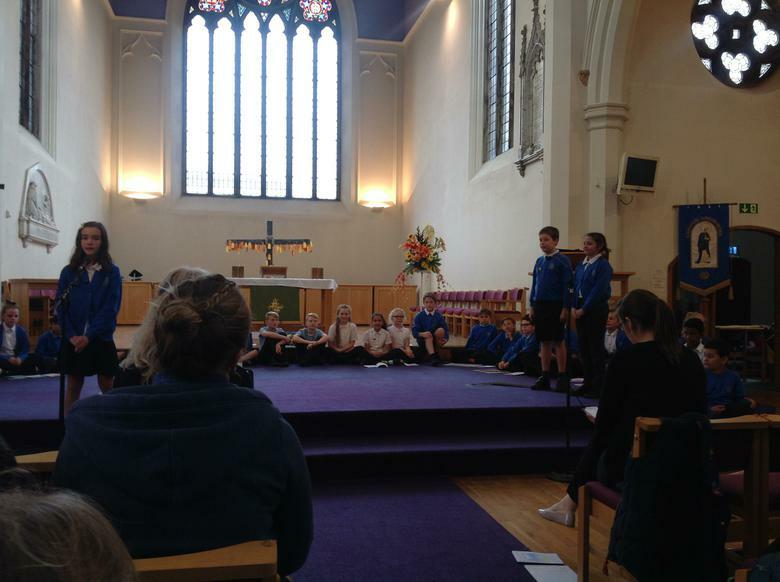 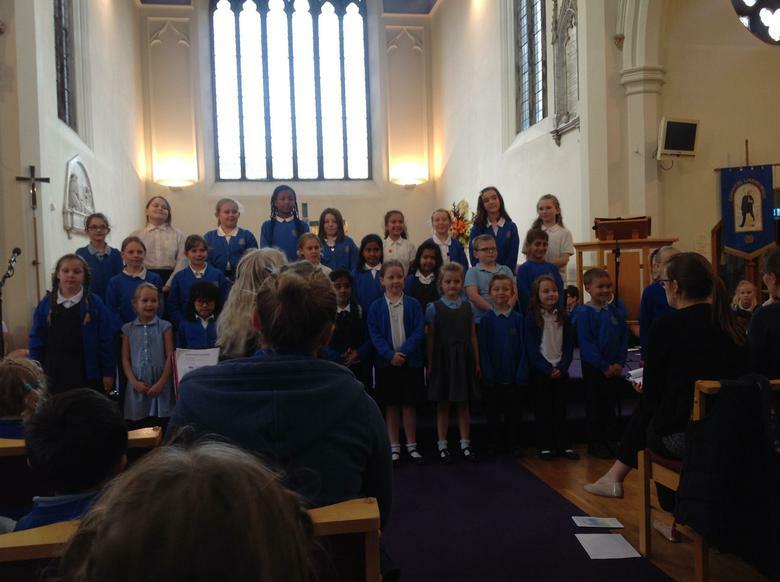 The year 6 pupils presented a thoughtful Harvest Service at Emmanuel Church, on the 11th October. 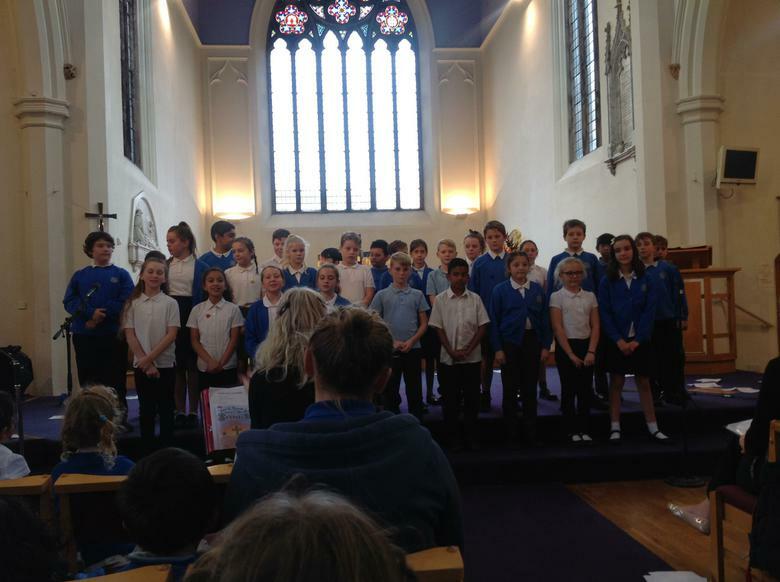 Congregational hymns were sung by all pupils of the school, staff and parents. 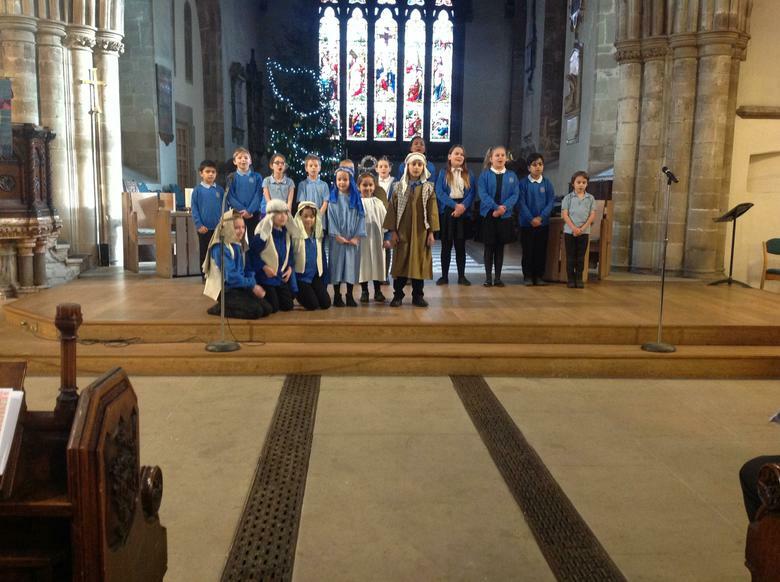 The presentation included songs, drama, prayers and biblical link to Matthew 20. 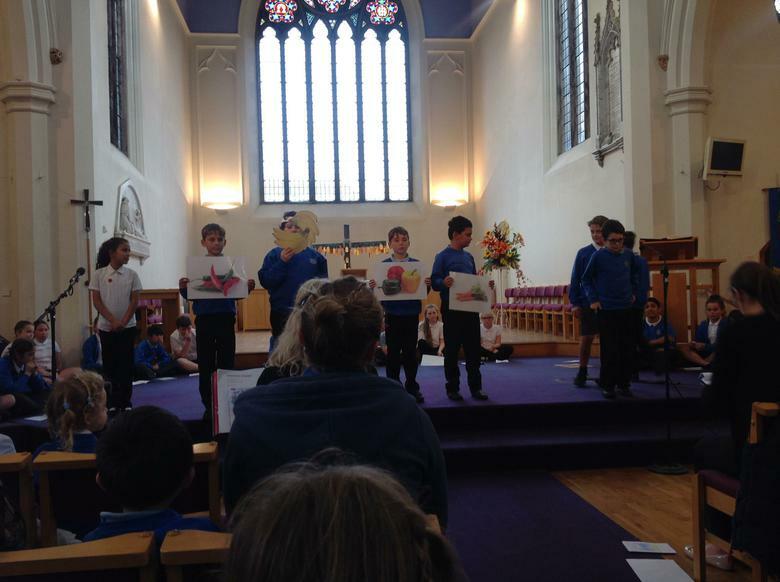 A retiring collection was taken to support the work of Christian aid. 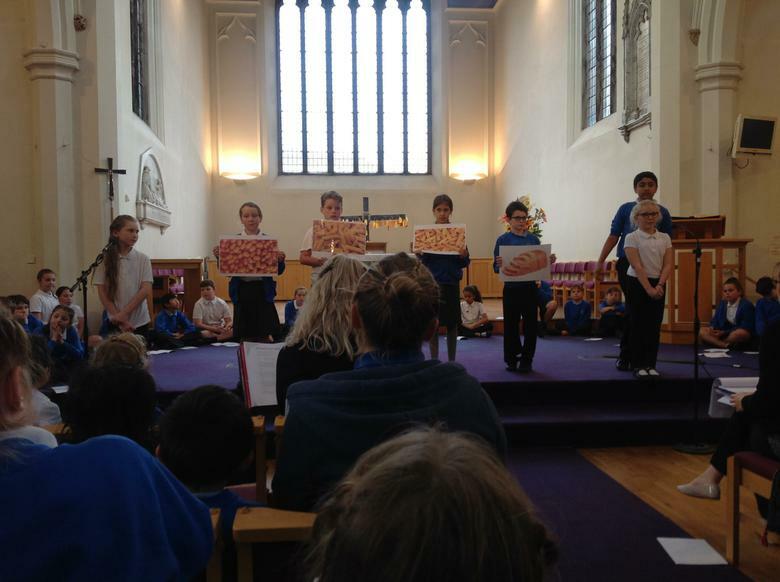 Food donations have also been bought into school by the children. 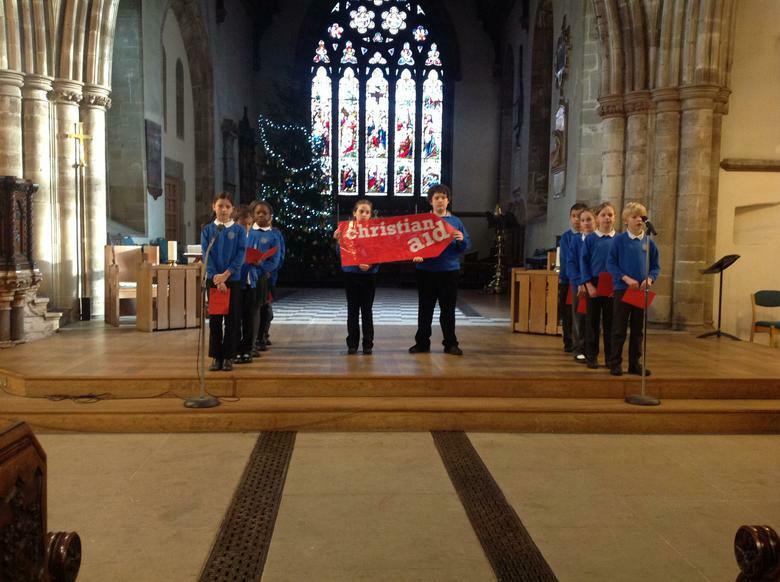 These will be donated to The Carpenters Arms. 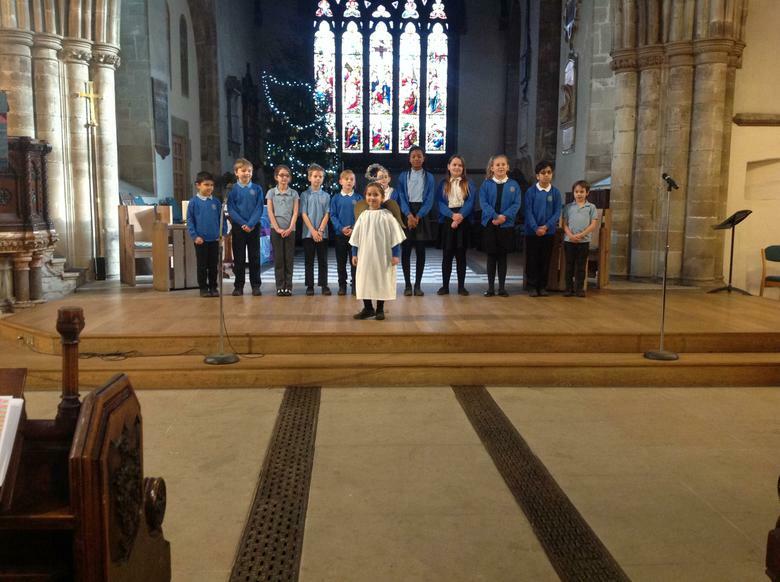 We are grateful to God for what we have and for how we are able to help others. 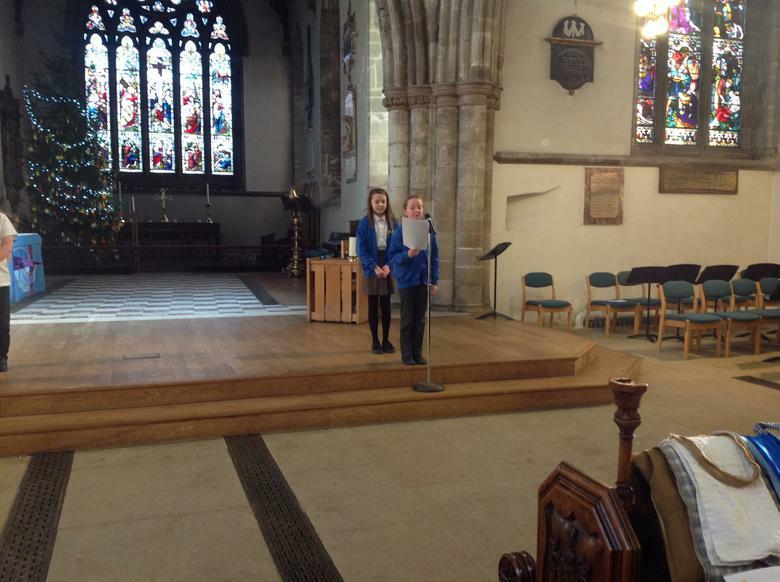 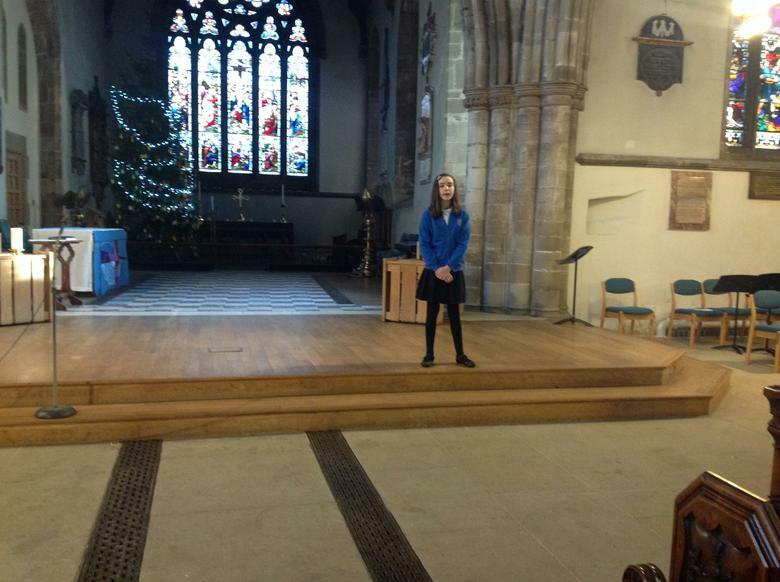 Once again the year 6’s performed their leaver’s service. 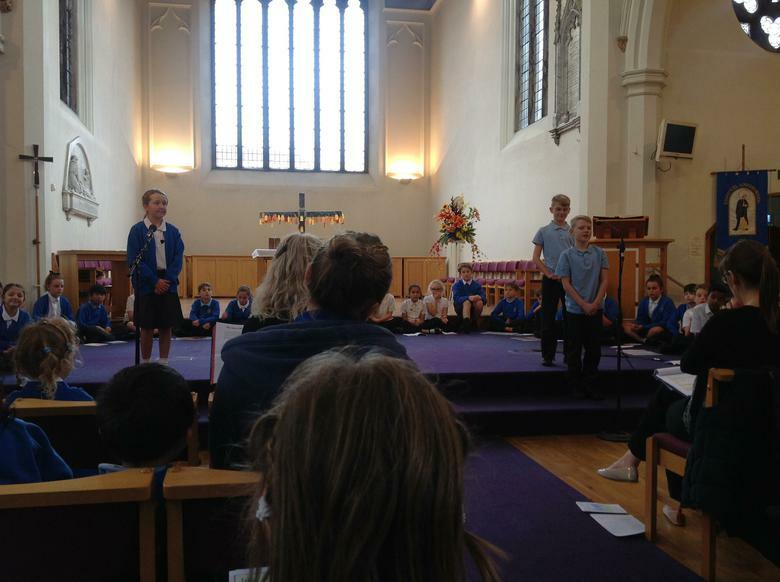 They wrote and performed their own dance, shared their memories, wrote poems and prayers and sang beautifully. 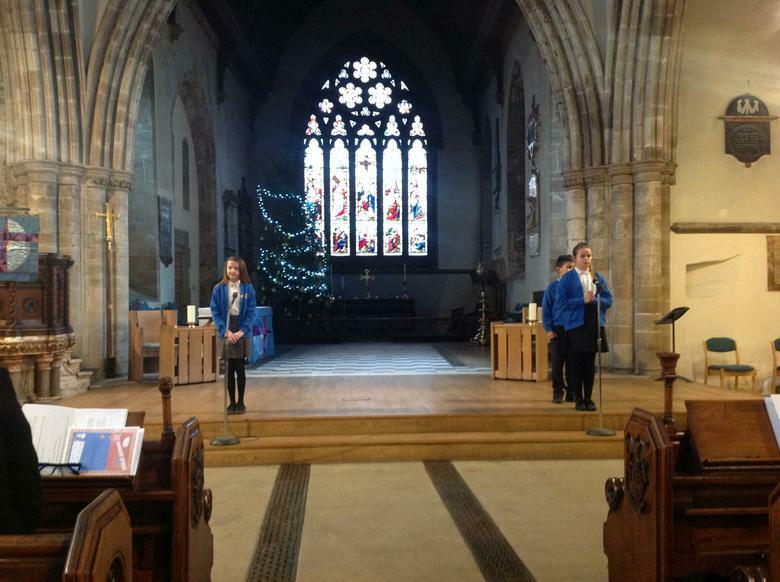 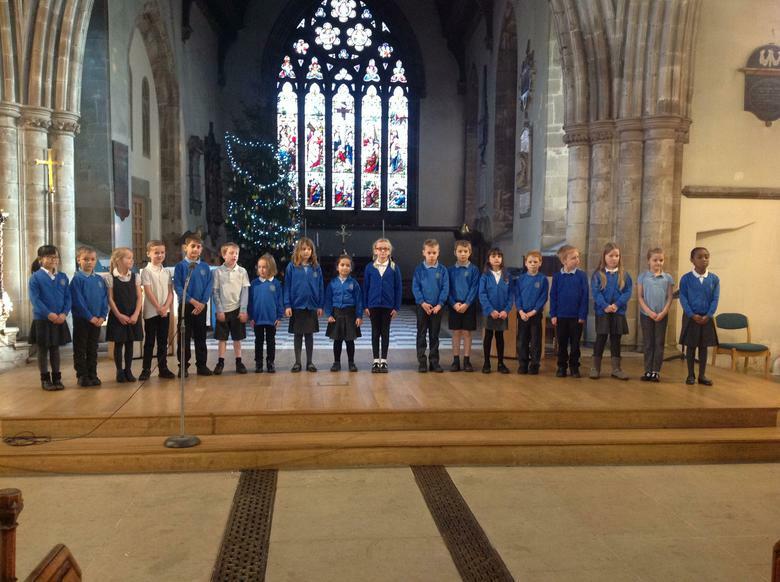 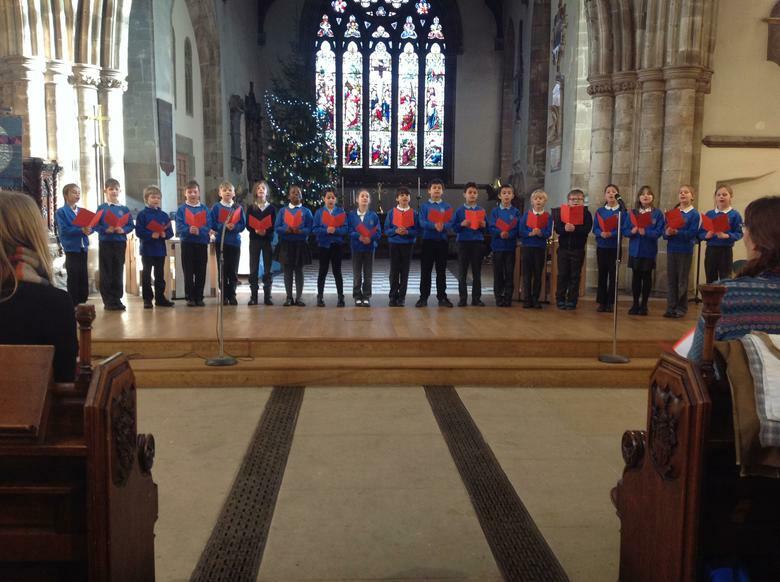 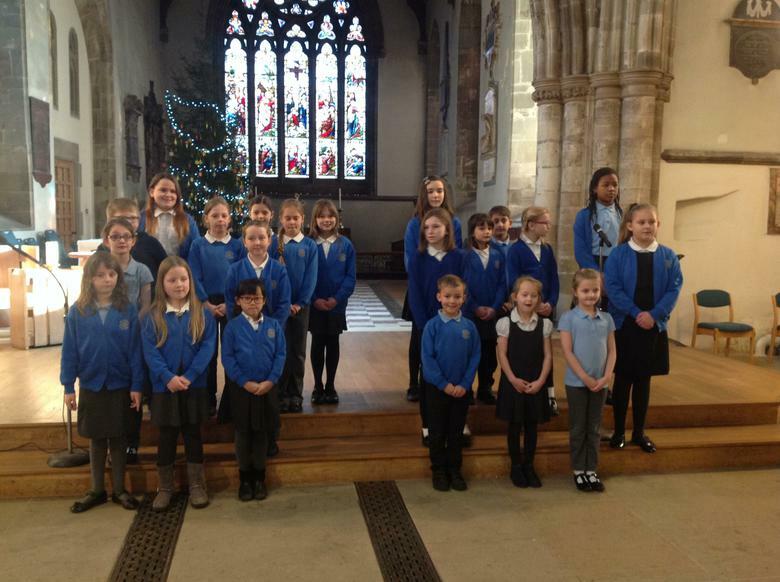 The service was enjoyed by many parents and the school, with performances by the Choir and Hand bells. 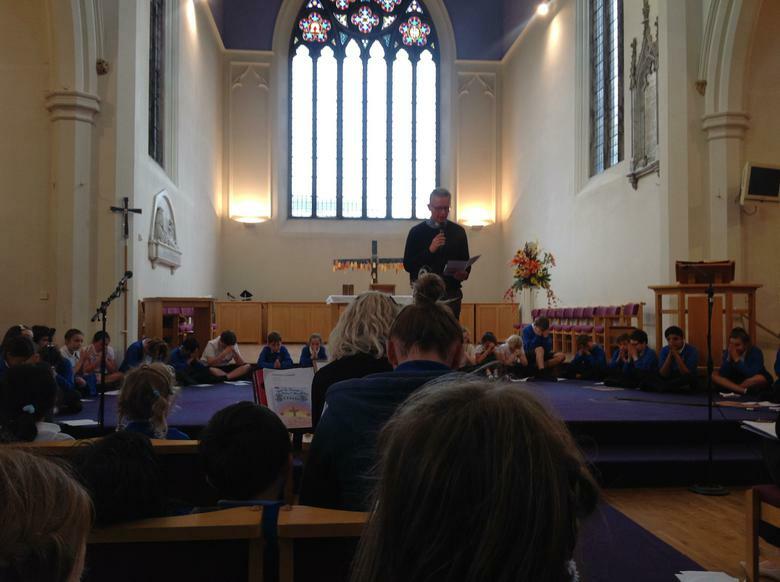 Rev Broadley gave a blessing at the end of the service. 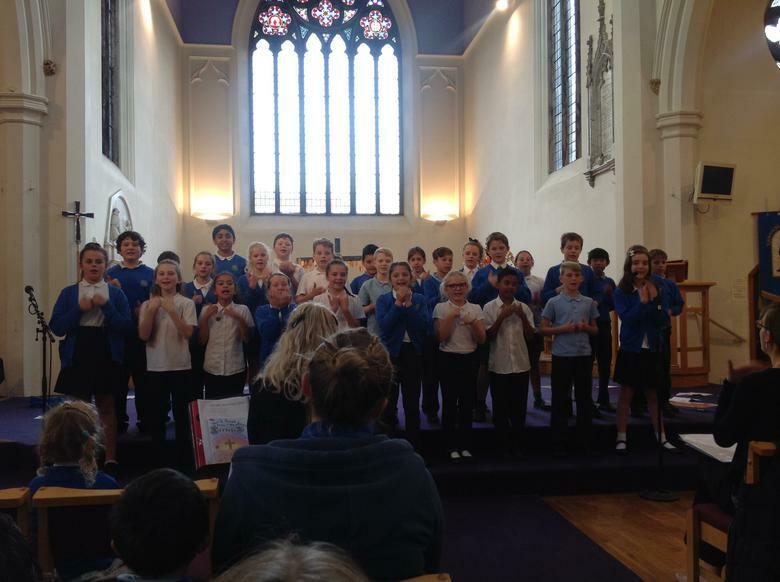 The retiring collection was in aid of exaireo. 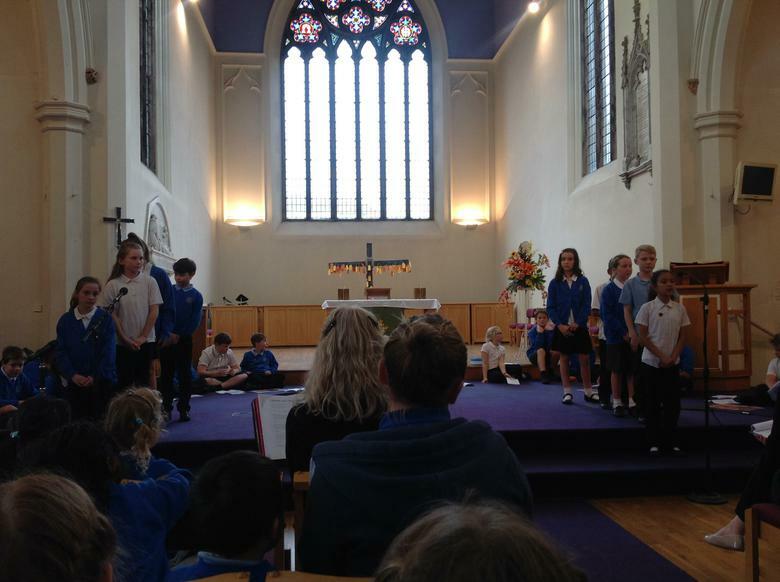 Year 6 made their annual trip to Emmanuel Church to perform their Easter Service for the school. 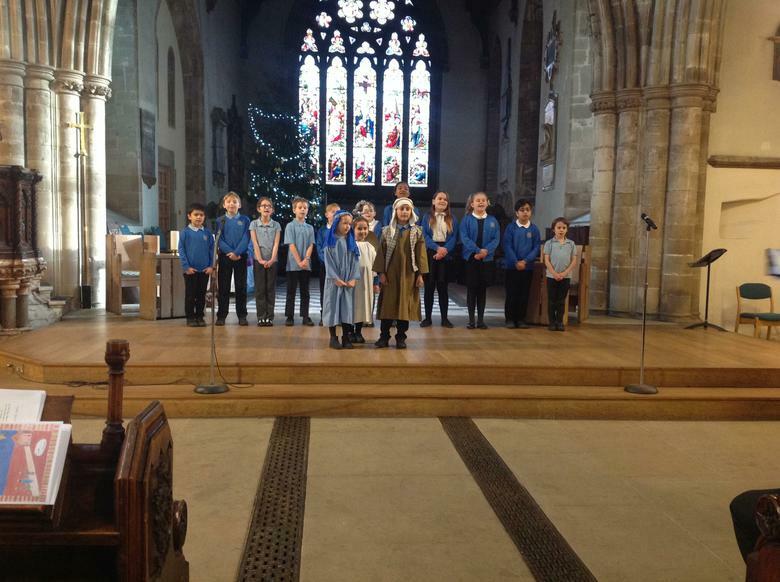 It was a delightful, moving re-enactment of the last week of Jesus’ life filled with beautiful singing and performances from the school choir and Year 6 handbell group. 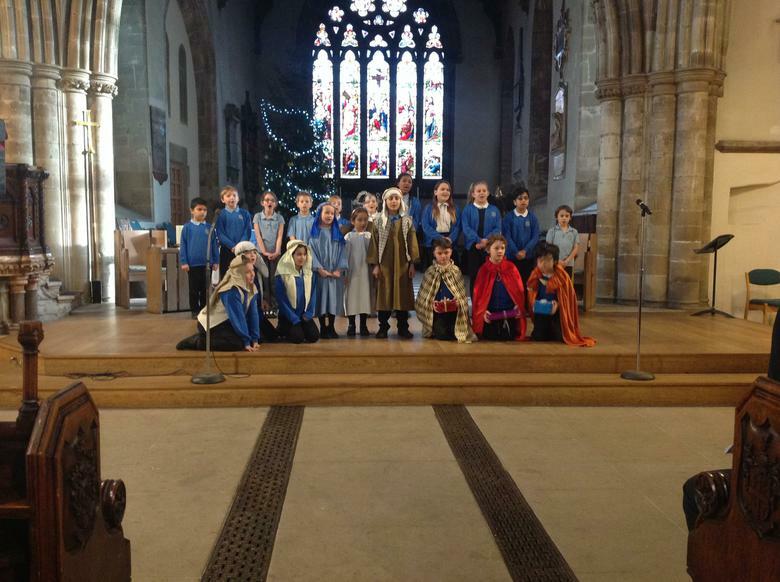 The children were so proud to perform and entertain not only the whole school but a large group of parents and friends. 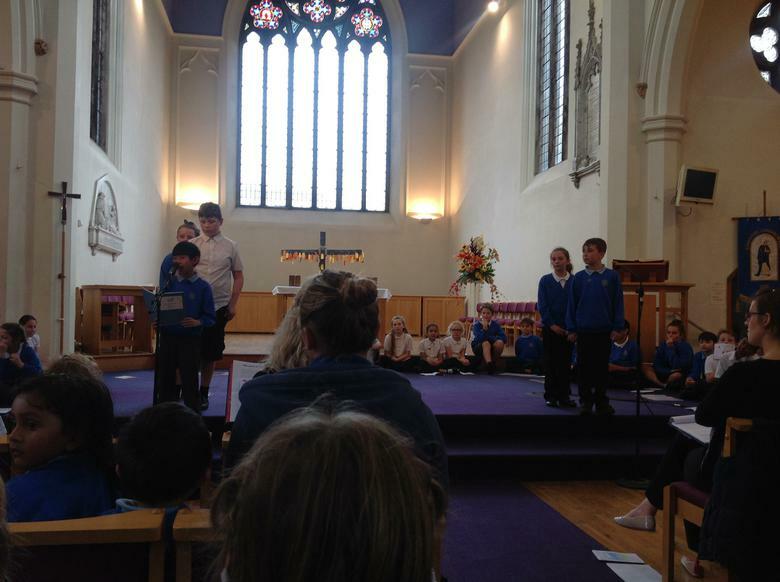 The retiring collection was given to Christian Aid.